12-hour shift, so their shoes get put through their paces (pun not intended). Taking care of your nursing shoes is key to making them last and giving your feet the support they need for as long as possible. Here are seven tips to help you keep your nursing shoes looking like new. 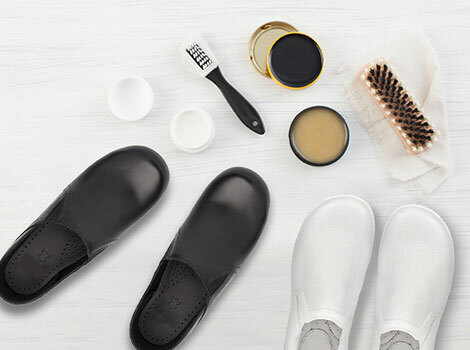 The material and style of the nursing shoes dictates how they should be cared for and cleaned, and each type of shoes requires its own approach (and if the shoe manufacturer provides any care instructions, definitely read and follow those first). For example, nursing clogs made with EVA materials can be disinfected with a wipe, while cloth materials can usually go through a round in the washing machine. Even if shoes are made by the same company, they’ll need to be cared for differently if they’re made of different materials, so don’t just make assumptions about how to care for them. Leather shoes look great, and they can last you a long time—if you take good care of them. If you don’t, leather shoes are prone to cracking (especially if you do a lot of walking and moving around in them, which puts stress on the leather) so moisturize the material every couple of months. It’s usually fine to wipe down leather with a damp cloth or a little disinfectant, but don’t let liquid sit on the material, as leather is porous and absorbs stains easily. Wash them, if you can. Of course, the least labor-intensive way to disinfect your nursing shoes is to throw them in the wash with some detergent (and some bleach, if the shoes are white). If your tennis shoes are made with a fabric or a thin leather upper, they’ll usually do fine in the wash. A more structured shoe like a clog shouldn’t be dropped in the washing machine, as the agitation can degrade the material and destroy its shape. 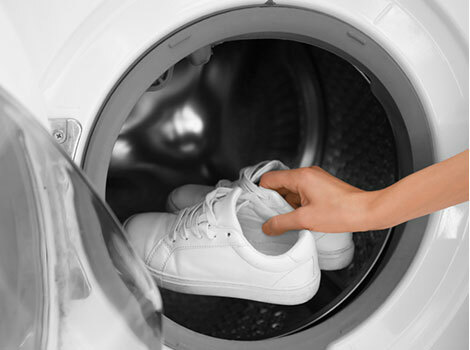 Make sure you wash the shoes on cold, as hot water can shrink the fabric just like it will with clothes. Don’t dry them in the dryer. It can be tempting to throw shoes in the dryer since they take so long to air dry. However, putting them in the dryer will definitely shrink the material, and the constant banging against the dryer can crush the sole and make the shoes really uncomfortable to wear (which totally defeats the purpose of supportive nursing shoes). Instead, place the damp shoes in a well-ventilated area to air dry. If you need to speed things up, you can point a gentle fan at them or leave them outside on a sunny day. If you can’t wash them, wipe them down with disinfectant. If you have a more structured shoe made out of thick leather or a synthetic plastic-like material, it can’t go through the washing machine. Instead, keep disinfectant wipes on hand and wipe the shoes down after every shift, or whenever you feel like they need a good germ-busting. Follow it up with the conditioner mentioned above, as disinfectant can be harsh and strip away protective covering from the material. Keep a clean pair of shoes in your car or tote bag. Your nursing shoes will last longer if you only wear them for shifts. 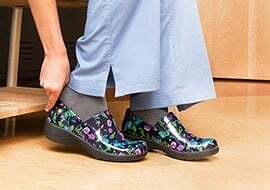 Many nurses keep a “regular” pair of shoes (even a cheap pair of flip flops) in their tote bag or car so they can change into their shoes immediately before their shift and then back out of them right afterwards. This practice also keeps you from tracking anything you may have picked up on your shoes into your car or your house, so it’s also good hygiene. Not wearing the same pair of shoes two days or shifts in a row will allow the material to return to its original shape before you wear them again, prolonging the life of the shoes. 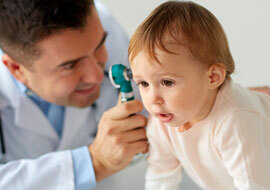 (This is especially important for fabric or thin leather shoes, which lose their shape more easily.) If you can afford it, investing in at least two good pairs of nursing shoes to swap between is a solid strategy. 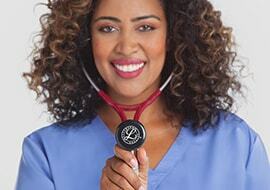 Depending on what brand you get, nursing shoes can be a big investment—all the more so if you buy multiple pairs. Take good care of your nursing shoes with these seven tips, and they’ll take good care of your feet.